While much attention has been placed on the record number of young adults who are delaying homeownership, recent research shows that 70 percent of Americans still believe that owning a home is an essential part of the American Dream. The nationwide survey of more than 11,300 registered voters was commissioned by the National Association of Home Builders and conducted Feb. 14-18 by the polling firm Morning Consult. 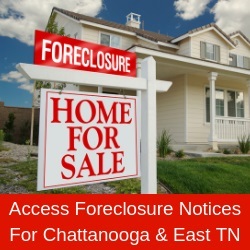 The benefits of owning a home in the Chattanooga area are numerous – for you and for your community. You build financial strength and emotional well-being for you and your family, and at the same time, as a home owner, you promote increased stability for the surrounding community. Financial benefits: Building equity and accruing wealth when the value of your home appreciates are among the longer-term financial benefits of homeownership. The home equity you build increases your net worth. Then, once a year at tax time, you get a reminder of another advantage of owning a home. American home owners saw their tax bills trimmed by a total of more than $100 billion in 2014, according to estimates by the Joint Committee on Taxation and NAHB analysis. This includes both the mortgage interest deduction and the real estate tax deduction. Those who itemize their federal income tax deductions can deduct 100 percent of their mortgage interest payments on a first or second home, up to a maximum mortgage amount of $1 million. On average, 70 percent of homeowners with a mortgage claim this deduction and 90 percent of all mortgage interest paid gets deducted, according to NAHB. Quality-of-life enhancements: Homeownership increases stability for you and for the community where you live. Homeowners are less likely than renters to move every year or two. Once you settle in, you make friends, get to know the neighbors and develop a sense of community – and that’s a motivation to help maintain a safe and thriving environment for you, your family and your neighbors. Commitment to a community fosters civic participation. Through volunteering, school and church activities, and property maintenance, homeowners contribute to making strong and healthy neighborhoods. To learn more about the benefits of homeownership or find homeownership opportunities in Hamilton and surrounding counties, visit the Home Builders Association of Greater Chattanooga at www.HBAGC.net.